For the second time in less than a week, a U.S. vessel has rescued distressed Iranian mariners while in regional waters, according to the U.S. Department of Defense. Pentagon Press Secretary George Little said today that several hours before dawn Tuesday morning, the U.S. Coast Guard cutter Monomoy rescued six Iranian mariners from a disabled cargo dhow, the Ya-Hussayn, in the North Arabian Gulf. Monomoy is supporting maritime security operations in the U.S. 5th Fleet area of responsibility that includes the Persian Gulf, the Red Sea, the Arabian Sea and the coast off East Africa as far south as Kenya. According to the statement, the Coast Guard cutter was hailed by flares and flashlights coming from the Ya-Hussayn at about 3 a.m. local time. 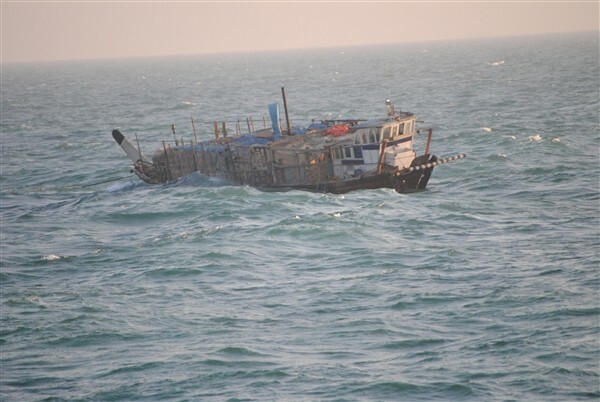 The dhow’s master indicated the engine room was flooding and the vessel was not seaworthy. A small boat was launched from the Monomoy and was able to rescue two people from the dhow and four from a life raft tied off the vessels stern, officials said. Once aboard the Monomoy, the mariners were provided with food and water, and one was also treated for injuries. 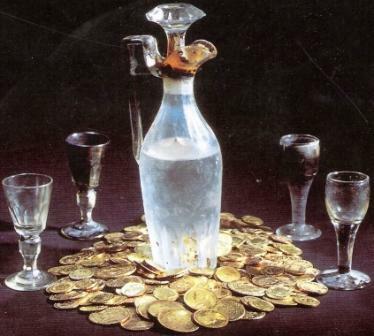 “Without your help, we were dead,” said Ya-Hussayn’s Master, Hakim Hamid-Awi. On January 5th, a team from the guided-missile destroyer USS Kidd rescued a 13-member Iranian crew from 15 suspected pirates who had been holding the crew hostage on the Iranian-flagged Al Molai for several weeks. Perhaps ironically, the USS Kidd is part of the USS John C. Stennis Carrier Strike Group, the vessel that Iran officials had warned to stay out of the Persian Gulf. A fortuitous combination of ravenous bacteria, ocean currents and local topography helped to rapidly purge the Gulf of Mexico of much of the oil and gas released in the Deepwater Horizon disaster of 2010, researchers reported Monday. After spewing oil and gas for nearly three months, the BP PLC (BP, BP.LN) well was finally capped in mid-July 2010. Some 200,000 tons of methane gas and about 4.4 million barrels of petroleum spilled into the ocean. Given the enormity of the spill, many scientists predicted that a significant amount of the resulting chemical pollutants would likely persist in the region’s waterways for years. According to a new federally funded study published Monday by the National Academy of Sciences, those scientists were wrong. By the end of September, the vast underwater plume of methane, plus other gases, had all but disappeared. By the end of October, a significant amount of the underwater offshore oil–a complex substance made from thousands of compounds–had vanished as well. “There was a lot of doomsday talk,” said microbiologist David Valentine of the University of California at Santa Barbara and co-author of the study, published in Proceedings of the National Academy of Sciences. But it turns out “that the ocean harbors organisms that can handle a certain amount of input” in the form of oil and gas pollutants, he said. 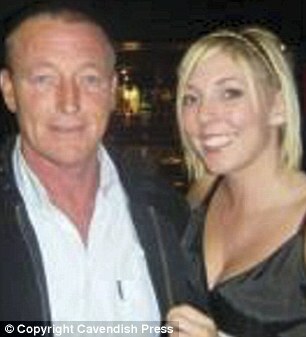 A Briton has drowned in a freak scuba diving accident while saving the life of his girlfriend. Ex-pat Stephen McNulty, 56, and 45-year-old Vicky Spokes were blown into the ocean by a giant wave as they were looking at underwater coral and marine life in Tasmania. As the water ‘turned into a giant washing machine,’ Mr McNulty managed to usher Vicky ashore but he disappeared under the water and is believed to have hit his head against a rock. The father of five, from Burnley, Lancashire, was later pulled out of the sea unconscious but despite attempts by two passersby, police and paramedics to revive him, he died at the scene. Today Vicky was being comforted by family and friends as tributes were paid to Mr McNulty, who had started a new life in Australia in the Devonport area of Tasmania as a rigger. She said: ‘Steve was a strong man, physically and mentally, and although I had panicked I would never have thought this would happen. It is a pure tragedy and we are all heartbroken. ‘Steve and I had found a new life here which was just idyllic. He was a character who enjoyed a drink and cigarette but he loved the outdoor life here. The tragedy happened on News Years Eve three years after the couple – who met at a pub in Burnley – had moved to the island. He had been an electrician for Norweb. The couple were on a family holiday in the East Coast of the island when they began the dive around lunchtime at Skeleton Bay near Binalong Bay. They got into difficulties after being hit by an unexpectedly powerful wave and were propelled into deeper water. The pair managed to steady themselves when Mr McNulty told Vicky not to panic and float on her back towards the shore. But when she reached nearby rocks she saw he was lying motionless on his back. A post-mortem examination showed he had drowned following a head injury. “I know in that moment when the bubbles from my fall into the ocean surround me, and I stretch out to take my first strokes, that there is a transformation in me,” said Renate Herberger. 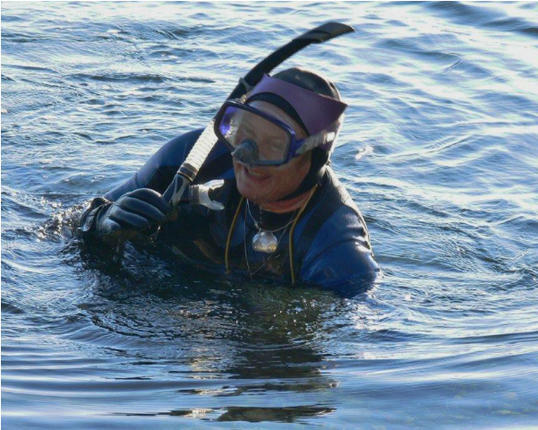 At age 56, Herberger is swimming the length of Costa Rica’s Pacific coast – approximately 1,011 kilometers – from the Panamanian border to Nicaragua. It is a pilgrimage to transform not only herself, she hopes, but also the way others view our imperiled oceans. This year will be the fifth time Herberger, a German who lives in Vancouver, Canada, has made the swim to raise awareness about the fragile state of marine resources around the world. Each year in Costa Rica, she said, she sees evidence of ocean life fading due to human activity. “The loss of corals in Costa Rica is really massive,” Herberger said a few days before she started swimming on Thursday. She calls herself a mermaid, a term whose mystical connotations she embraces, but not without a very practical sensibility. “To be a mermaid means to be an ambassador for the ocean and to speak on behalf of the ocean,” she said. “The mermaid’s ways are through magic, mystery and charm.” Herberger is an educator, a dance instructor and lecturer about ocean life. Herberger took to long-distance swimming after a knee injury in 2005 left her with a massive thrombosis that blocked an artery in her leg. Swimming alleviates the symptoms of her injury and, she found, gives her something more. A new island is forming in the Red Sea. About 60 kilometers (40 miles) from the coast of Yemen, an undersea eruption began in mid-December 2011. Local fishermen reported an eruption near the island of Saba, while satellites captured a white plume rising from the sea, and a pulse of sulfor dioxide. The activity was located on the northern edge of the Zubair Islands. On December 23, high-resolution satellite imagery revealed details of the eruption. More recent video from a Yemeni Navy helicopter showed violent explosions, typical of shallow submarine eruptions. 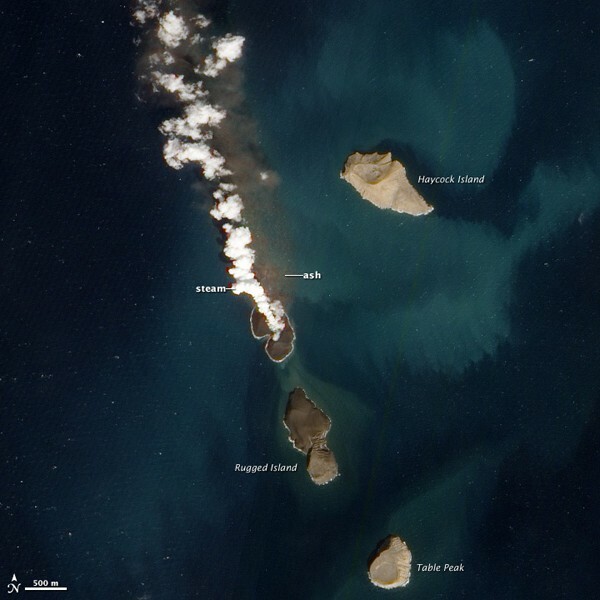 This new satellite image, acquired January 7, 2012, suggests that the eruption has risen nearly completely above water. A plume of steam, other volcanic gases, and ash spews from a distinct cone. The land surrounding the vent has grown, and is now about 530 by 710 meters (1,700 by 2,300 feet) across. Once above water, past eruptions in the Zubair Islands were primarily effusive, with relatively runny lava forming thin lava flows. In contrast to the fragmented rock that forms when lava interacts directly with water, lava that solidifies on land is tough, so this new island is likely to stick around. 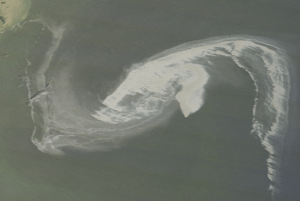 This natural-color image was acquired by the Advanced Land Imager (ALI) aboard the Earth Observing-1 (EO-1) satellite.